Save up to 80% on pre-owned Puritan Bennett™ 840 ventilators. 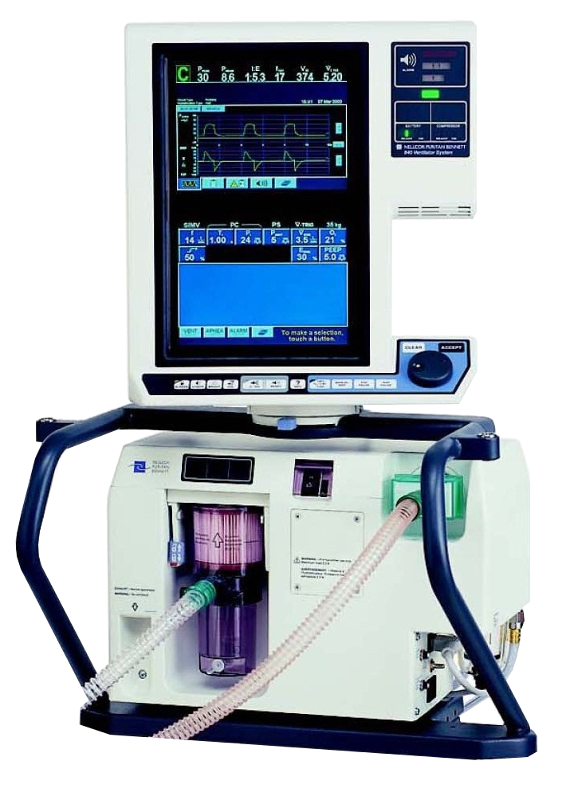 The Puritan Bennett™ 840 ventilator features Covidien's PAV™*+ software, providing a breath type that better manages a patient’s breathing effort and let's patient breath more naturally. Anyone from neonatal patients weighing as from 12oz to adult patients weighing as much as 375lb can be accomodated with proper options installed.